FAR HILLS, N.J. (June 11, 2014) – Pinehurst Resort & Country Club in the Village of Pinehurst, N.C., has been selected by the United States Golf Association (USGA) as the site of the 2017 U.S. Amateur Four-Ball Championship. Dates of the championship are May 27-31. Because of the size of the field (128 two-player teams), two courses will be needed for the championship. Pinehurst No. 2 and a companion course to be determined will be used for the competition. 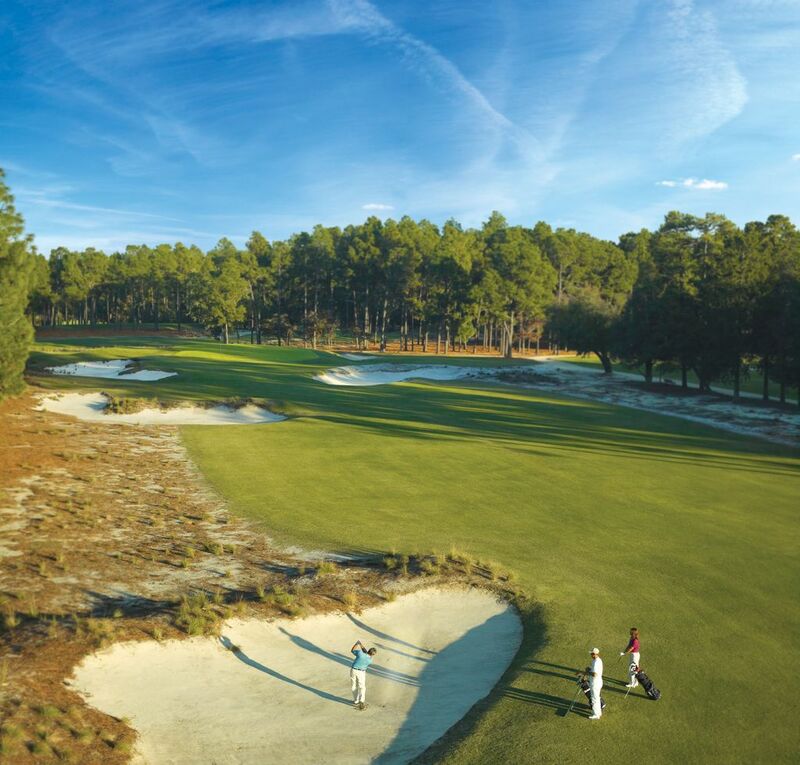 "Pinehurst is especially proud to host the U.S. Amateur Four-Ball, which extends our deep connection with the USGA and celebrates our passion for the amateur game," said Don Padgett, president of Pinehurst. "Our friendship with the USGA was forged by the founding Tufts family and continues to this day. And for nearly as long, Pinehurst has held events that showcase the best in amateur golf." In the U.S. Amateur Four-Ball, each of two competitors plays their own ball throughout the round. Each team’s score is determined by using the lower score of the partners for each hole. After 36 holes of stroke-play qualifying, the field will be reduced to the low 32 teams for the championship’s match-play bracket, from which the eventual champions will be determined. The 2017 U.S. Amateur Four-Ball will be the ninth USGA championship to be held at Pinehurst, including the unprecedented back-to-back U.S. Open Championships in 2014. Previously, the USGA conducted the following championships at Pinehurst No. 2: 1962 U.S. Amateur (won by Labron Harris Jr.); 1989 U.S. Women’s Amateur (won by Vicki Goetze-Ackerman); 1994 U.S Senior Open (won by Simon Hobday); 1999 U.S. Open (won by Payne Stewart); 2005 U.S. Open (won by Michael Campbell); and the 2008 U.S. Amateur (won by Danny Lee). Eligibility for the U.S. Amateur Four-Ball Championship is limited to amateurs, with no age restrictions. Partners comprising teams or sides will are not required to be from the same club, state or country. Entry is limited to individuals with a Handicap Index® not exceeding 5.4. The USGA’s amateur four-ball championships (for men and women) will debut in 2015, with sectional qualifying beginning in August 2014.. Prior to 2017, the Amateur Four-Ball Championship will be conducted at The Olympic Club in San Francisco, Calif., from May 2-6, 2015 and at Winged Foot Golf Club in Mamaroneck, N.Y., from May 19-25, 2016.